Repair Outlook 2010 PST File with Ease! Outlook PST Repair Tool is one of the best applications that offer users the most accurate process to repair Outlook 2010 PST file exactly. With the help of Outlook PST repair application you can not only get the over size PST file but also make sure that viruses are properly repaired. The security of your PST mailbox data is ensured completely to offer you a recovery that is so precise and never goes wrong. With a success rate, data security guaranteed, and unlimited other abilities stuffed within the tool, it is possible to acquire recovery of PST data from any situation. It is always better to use the freeware version of an application before investing your precious spending on its purchase. This way you will be able to execute a trouble free repair Outlook 2010 PST files & fix Outlook emails with the full version. The trial edition also lets you take a glance at the software abilities and its working process which helps in understanding and knowing the software extremely. The PST file can corrupt easily due to several reasons like virus infection, termination of Outlook application suddenly and due to some infected applications of system. 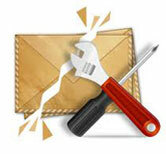 This Outlook 2010 PST Repair application provides the proper way to repair the damaged PST file and restore it finally. As the trail version is restricted to save the PST data so save it successfully after the purchase. The freeware edition allows you to preview the recovery of your damaged PST data and the preview of the items repaired via the trial edition so that you can get the idea of its functionality. Meanwhile, to precede with the complete recovery and restriction-free restoration of the repair corrupt Outlook files data you must purchase the trouble free Outlook PST repair tool for all Microsoft Outlook versions immediately.